Walker Canyon, located off the 15 freeway (Lake Street exit) in Lake Elsinore, Ca, has golden hills filled with poppies! Due to the increased rainfall this past winter (2016-2017), there is currently a ‘Super Bloom’ of native wildflowers all over California. A two-mile round trip hike up the slopes, located in the middle of a canyon, lie countless golden poppies just dancing in the wind. 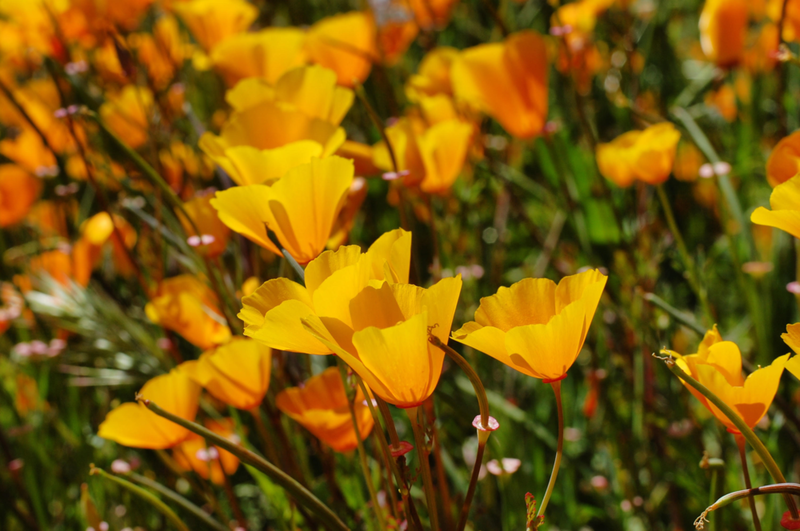 Golden poppies are the California State Flower, and for good reason with them growing like crazy! 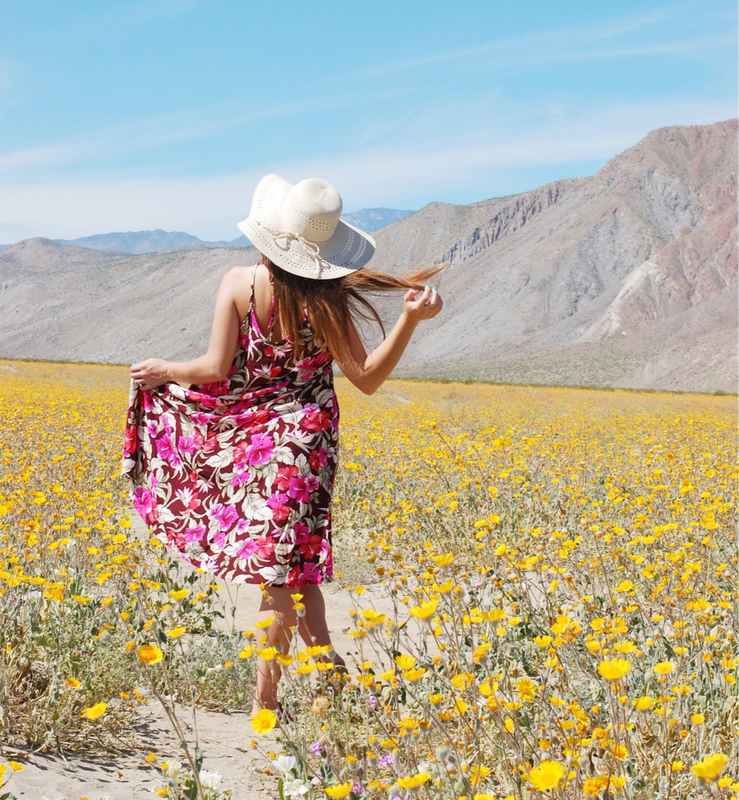 Environmentalists predict that this ‘Super Bloom’ could be a once in a lifetime occurrence, making it undoubtedly a must-see, and a perfect day trip up from San Diego! Unknowingly, this is a hike, like an actual nature hike. I wore dress sandals thinking the poppies were right off the freeway, and we would just be doing a photoshoot. We had to do a two-mile roundtrip hike to get there and back. Plan accordingly and don’t make my mistake. It is also very hot hiking up here, so I suggest brining water! If you plan to do a photoshoot like me, hike up in different clothes than you are shooting in! Additionally, the fields of poppies are on downhill slopes. There are thorns, cactus, and bugs all mixed in when hiking down to see them. We wanted to take photos in the middle of the field sitting down. Luckily we brought a blanket and were able to sit on that, only ending up with a couple thorns!